Filed to: Uchi no Maid ga Uzasugiru!Filed to: Uchi no Maid ga Uzasugiru! 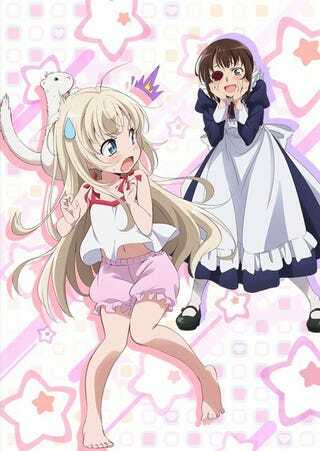 It has been revealed that an anime adaptation of Uchi no Maid ga Uzasugiru! is in the works and will premier on the fall season; besides that on the staff it has been revealed thatthe director and the writter for Umaru-Chan and Gabriel Dropout will be working on this series. Masahiko Ohta and Takashi Aoshima are respectively the Director and Writter for the anime at STudio Doga Kobo; Jun Yamazaki is in charge of the character design.